Start your day paddleboarding in the Florida sunshine at Tampa Bay, or head to Clearwater to sprawl out on the sand. When hunger kicks in, hit the lunch buffet at Jerk Hut Jamaican Grille & Rhum Bar. Spend an afternoon soaking up your neighborhood culture at the Tampa Museum of Art, cheer on your local team at a Tampa Bay Buccaneers game, or try the latest rides at Busch Gardens. In the evening, experience live music and try the fried alligator tail at Skipper’s Smokehouse and Oyster Bar, or sample the drinks on offer at Mr Dunderbak’s Biergarten and Brewery. 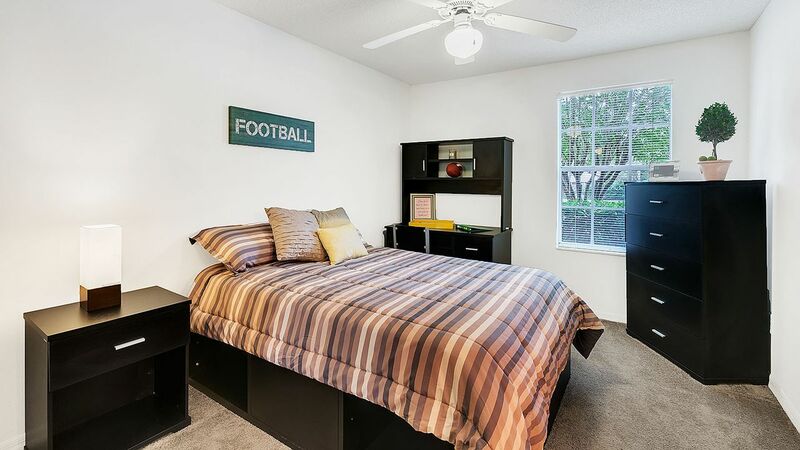 When you make your home at Reflections Apartments, you can zoom to class by car at the University of Florida in five minutes or walk there in just under 30 minutes. Begin your morning with a few gentle lengths in the huge swimming pool, or work up a sweat with a workout in the fitness center. Throw your gym clothes into your washer dryer in your apartment straight afterwards so they’re ready for the next day. If you have studying to do, find a station in the on-site computer lab. Then, enjoy a leisurely breakfast on your apartment’s patio or balcony, or pick up a free on-site coffee to drink en route to your university classes. When you arrive home from college, switch off from work as you relax on the tanning deck. If the weather’s taking a rare turn for the worse, you can jump on one of Reflection Apartments’ tanning beds instead. Later, burn off leftover energy with a game on the sand volleyball courts, or challenge friends to a foosball or air hockey tournament in the on-site games room. Cook up some burgers for friends on the poolside grill or order a fully loaded meal from local pizza joint Wood Fired. Relax after you’ve eaten in front of your favorite HBO show back in your apartment, or Skype family back home easily thanks to the high-speed internet. If you’re craving a late-night snack, you’ll have a fully equipped kitchen at your disposal with a dishwasher to throw the plates into afterwards. 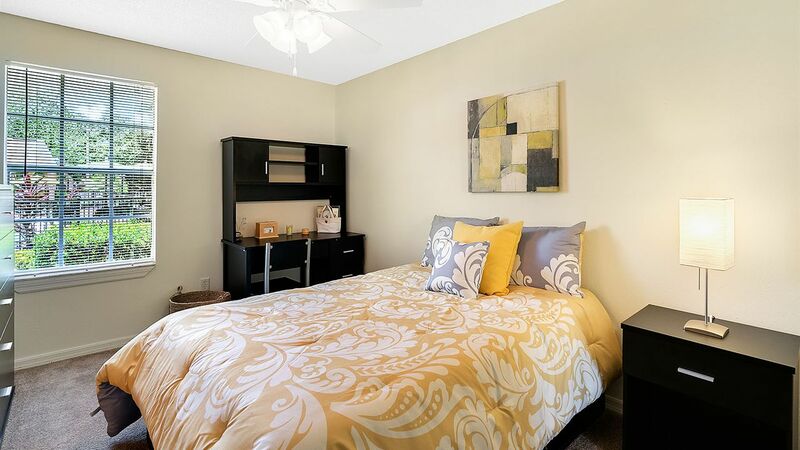 We couldn't find a room that matches your preferencesView all Private Room in Reflections Apartments. 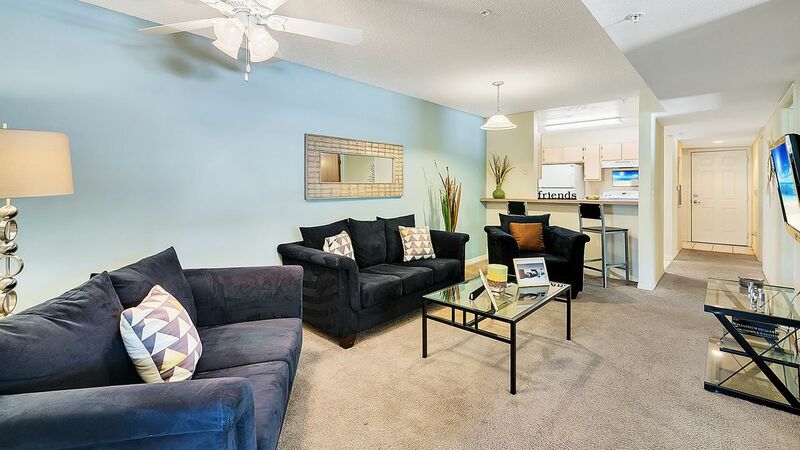 We couldn't find a room that matches your preferencesView all Entire Place in Reflections Apartments.